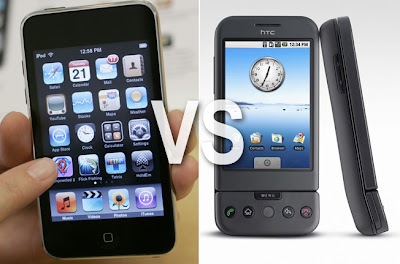 iPhone Vs Android - One of the most recent tech rivalries, the HTC Dream using Google's Android technology came exploding on to the mobile market to compete with the hugely successful Apple iPhone. The rivalry is set to be epic owing to the Dream's open-sourced software which allows budding developers to fiddle around with it, while the iPhone already has a strong user fan base. 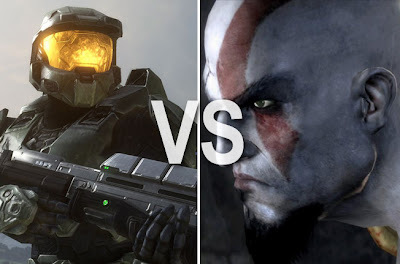 Microsoft Vs Sony - Fanboys come out to play whenever there's an argument about which gaming system is superior — the PlayStation 3 or Xbox 360. Led by Master Chief from the Halo series, Xbox fanboys rejoice in the wide selection of gaming titles and a seriously awesome online community. Kratos' minions who support the ginormous black monolith argue the PS3 has better graphics, is more dependable and has free online play. Nintendo Vs Sega - The great console wars of the late '80s and early '90s saw the early battle for supremacy to win over the hearts and minds of gamers. 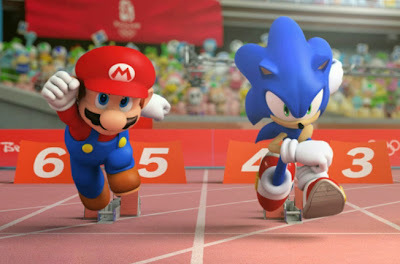 Leading the charge for Nintendo was Mario, the stumpy yet heroic Italian plumber, while the poster child for Sega was the speedy Sonic the Hedgehog. 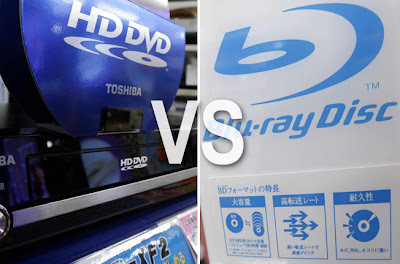 HD-DVD Vs Blu-ray - It was a short-lived high-definition war but when the dust settled on the battle between next generation formats it was Blu-ray that emerged triumphant. The battle for your viewing pleasure took a sharp turn when HD-DVD pulled out of the market and allowed Blu-ray to take over its market share. 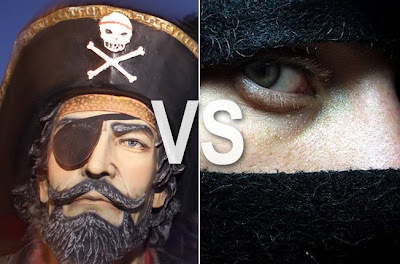 Pirates Vs Ninjas - When the epic battle erupts, which side will you choose? What started out as an innocent question has escalated into one of internet culture's greatest rivalries. Debate has raged on who exactly would win a fight between the two. Pirate enthusiasts will tell you that a pirate's battleground consists of three quarters of the earth's surface and is well stocked with weaponry. Star Wars Vs Star Trek - Wars in the future will not be fought on land or at sea, they will be fought in space — or possibly a very tall mountain. 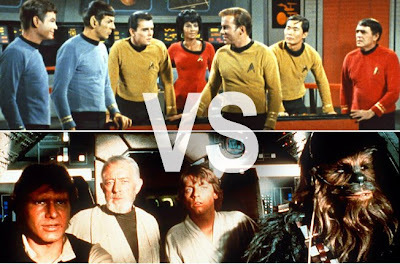 One of the most enduring outer space battles is whether Star Wars or Star Trek is better. On one hand you have Captain Kirk and his lack of sexual inhibition and on the other you have a whinging Luke Skywalker flailing a lightsabre with no conviction. Star Wars fans will argue that Star Trek fans cannot decide who is better — Captain Kirk or Captain Picard — while Star Trek fans would rather face a Klingon Battleship than sit through a Jar Jar Binks monologue / Paramount Pictures/LucasFilm — Industrial Light and Magic. 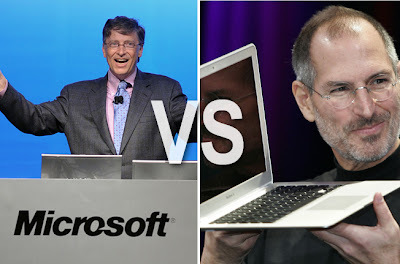 Microsoft Vs Apple - It's the tech rivalry to end all tech rivalries. For years the computer community has been divided between which is better Â¿ PC or Mac. Both sides will tell you that the other is inferior. PC fans will tell you that Macs are an over-priced gimmick while Mac fans will tell you that PCs are overly vulnerable to viruses and they aren't as stylish as the Mac.